It’s always exciting to see unreleased samples, and especially when it comes the Air Jordan line. 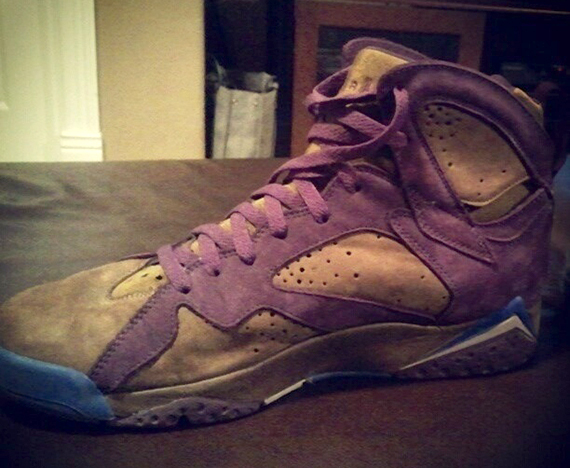 This particular unreleased sample, a “PB&J” looking Air Jordan VII, was posted today on the internet’s seedy underground, aka Reddit. Featuring what appears to be a tan/beige nubuck upper accented with purple nubuck and a few spots of blue, these VII’s are pretty unique. From what is apparently a reliable source, these samples came from a Nike employee and have just now found their way onto the internet. 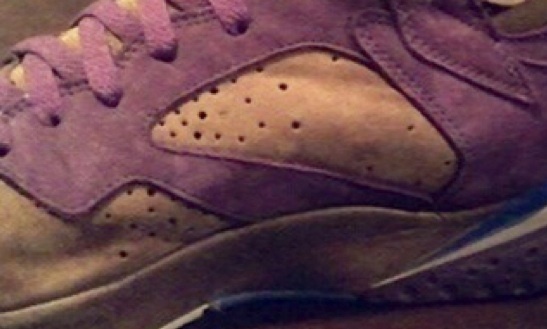 While we don’t know if these are OG’s or were created later down the line, but one thing’s for sure…. We need to see these hit shelves! More photos after the jump. I’d buy em! Looks like a colorway that woulda came out in the 90’s.